Late last week 2,000 copies of #40222 were stolen from Fairy Bricks van in Huddersfield in the U.K.
For those who might not know, Fairy Bricks is a charity that donates Lego sets to children in hospital and hospices – which makes this truly sickening. One look at the way the van was peeled open, and the fact that 2,000 Lego sets aren’t exactly something you can shove in the boot of a car, shows that this wasn’t an opportunistic crime. 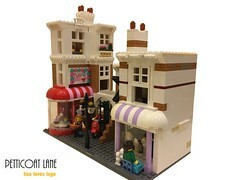 It’s important that this story gets shared, and not just amongst the Lego Fan Community; and we all keep our eyes open for these sets for sale. 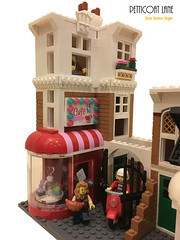 They may show up for sale in markets, online sales sites, Facebook marketplace – and they might even show up outside the U.K.
There’s also something very easy that we can do to help – particulate in Lego’s #BuildToGive campaign. 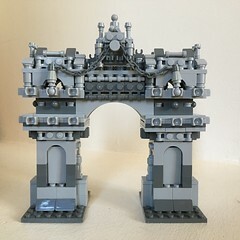 All you need is some LEGO bricks at home and lots of imagination! Get building at home and share a photo of your fabulous festive decoration with the hashtag #BuildToGive. 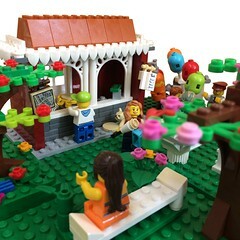 For every photo uploaded we’ll also match it with a LEGO set*! *In connection with the #BuildToGive 2017 Christmas Campaign, the LEGO Group will donate one LEGO® set to a child in a paediatric hospital for every #BuildToGive ornament built in a LEGO Brand Retail store, at the experiential shopping tour, or built at home and shared on social media with #BuildToGive. Children under the age of 13 must obtain parent’s permission to post to social media. #BuildToGive ornament available while supplies last. Total donation not to exceed 20,000 LEGO sets.